Discover the essentials to getting better photos with the Nikon DLSLR D3400 The Nikon D3400 hits stores as Nikon's most advanced entry-level DSLR camera. Along with the pixel power to deliver sharp images, it also offers tools to be instantly creative and quickly share photos to a smartphone. This book will get you up to speed on the D3400 in a flash—teaching you all the basic photography skills needed to get great shots from a DSLR camera, while also giving you clear, hands-on guidance through the D3400's specific controls. Nikon D3400 for Dummies helps you learn the ins and outs of the Nikon D3400, including how to get started right away in auto mode, get creative with scene modes, and take full control in manual mode. Filled with practical, easy-to-follow instructions, this book will help you transform from an inexperienced beginner to an advanced shutterbug whose shots could grace the cover of any popular magazine. Get the lowdown on the controls and settings on a Nikon D3400 Learn how pro photographers set their cameras to get better shots Discover the tools that control your camera's exposure settings Put your newfound knowledge together to shoot better portraits, action shots, and low-light images If you're ready to put down your dinky, dim-lit, non-zooming smartphone and pick up a real professional-grade DSLR camera, do so with the help of Nikon D3400 for Dummies. 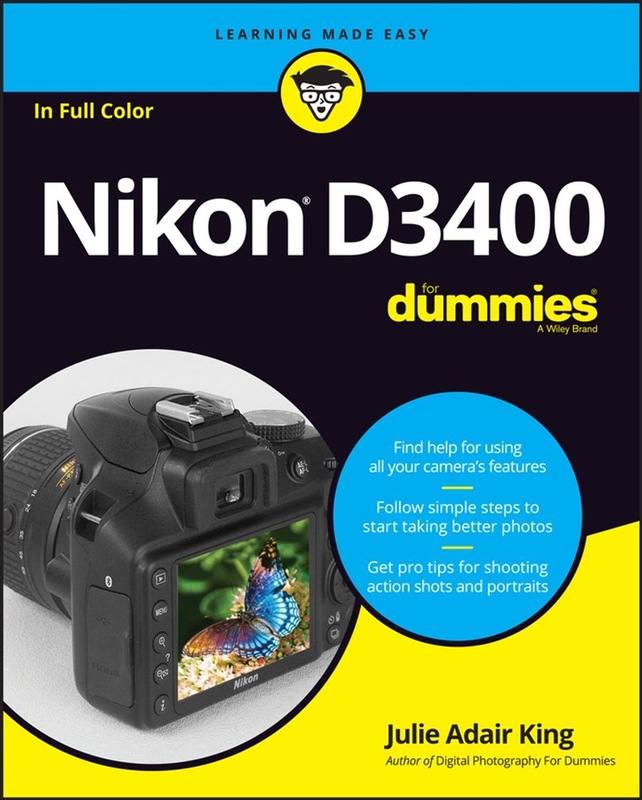 Acquista Nikon D3400 For Dummies in Epub: dopo aver letto l’ebook Nikon D3400 For Dummies di Julie Adair King ti invitiamo a lasciarci una Recensione qui sotto: sarà utile agli utenti che non abbiano ancora letto questo libro e che vogliano avere delle opinioni altrui. L’opinione su di un libro è molto soggettiva e per questo leggere eventuali recensioni negative non ci dovrà frenare dall’acquisto, anzi dovrà spingerci ad acquistare il libro in fretta per poter dire la nostra ed eventualmente smentire quanto commentato da altri, contribuendo ad arricchire più possibile i commenti e dare sempre più spunti di confronto al pubblico online.